In 2009, Zappos began issuing license plates to its employees. These vanity license plates, however, aren’t for your car. They’re for desk display! 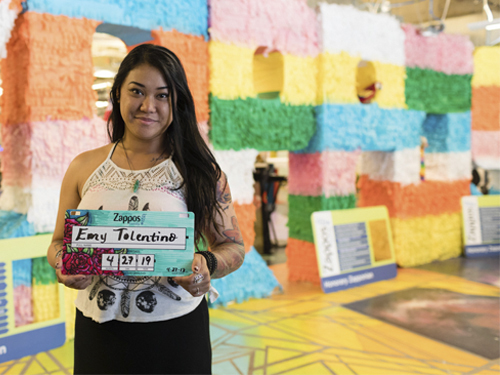 For many Zapponians, their career is akin to a cross-country road trip. Some stop at a few departments and positions along the way, while others continue on familiar highways, visiting old friends and making new ones. The license plate is their talisman for the journey. Building a Positive Team and Family Spirit, Zappos Core Value #6, is reinforced through this unique program. License plates hanging above desks connect new employees with seasoned veterans and vice versa. New hires receive a cardboard plate to put their name on and decorate as they see fit. For your first year anniversary, you get the blue plate special. When you’ve been here for five years the plate is red, 10 years it’s orange, and 15 years it’s yellow. Since Zappos won’t celebrate its 20th anniversary until June of 2019, it’ll be interesting to see what color the milestone marker is going to be. Perhaps it will be purple or pearl-white and embellished with rhinestones. 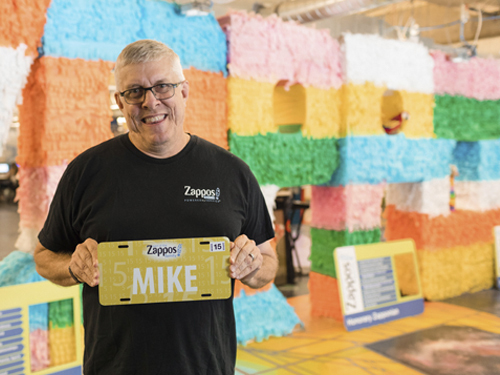 As a way to celebrate anniversaries in-between each license plate, each Zapponian receives a decal sticker that honors their years of service. 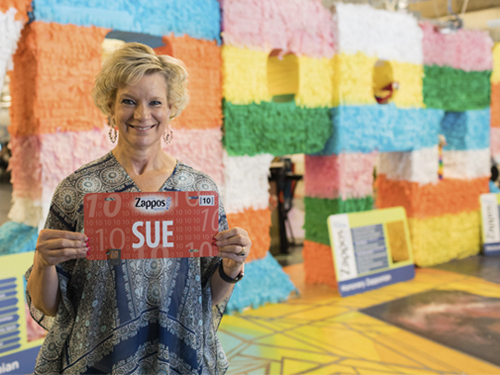 Join us as we cruise around campus and meet five Zapponians to find out why they joined Zappos and what’s kept them here to build a life and a career! "A friend referred me to the job and told me how incredibly amazing and fun it was. I thought she was embellishing her stories …until I got here. The culture makes me stay. Not only is Zappos the happiest place to work, but we also have plenty of opportunity, so the work itself doesn’t feel like work. 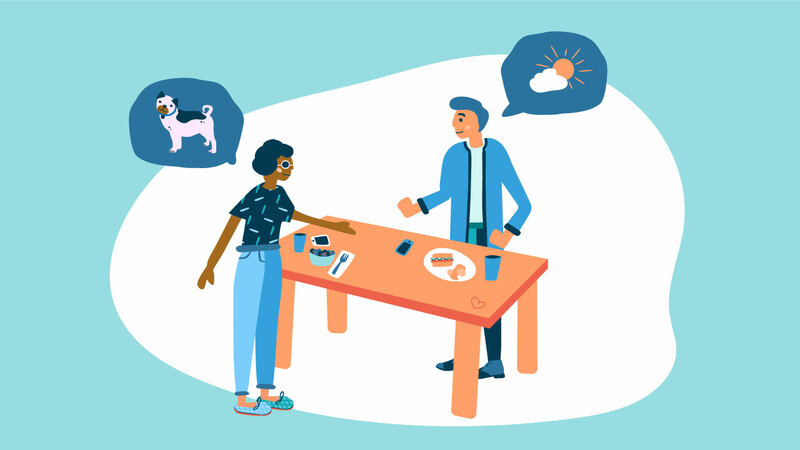 The amazing benefits, and of course the bonds you create, make Zappos a place you can't find anywhere else. As for my future here at Zappos? My personal goal is to connect with as many Zapponians as possible. I want to make new friends and dip into as many creative and fun projects as I can." 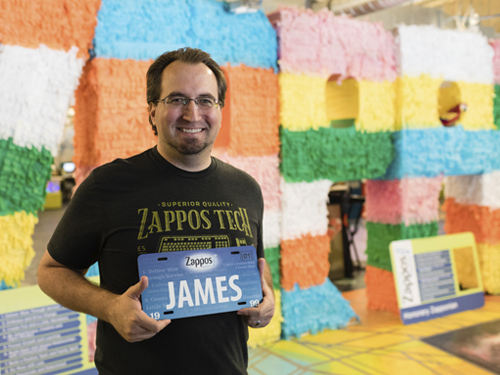 "I came to Zappos because my buddy, who also works in tech, encouraged me to apply. I’ve had a lot of friends who’ve worked here over the years, and they all talk highly of Zappos. And since there are so many things here to experience, I don’t see myself leaving anytime soon. Two weeks ago, my team and I successfully launched a huge release. We plan to refactor the code we inherited as part of our next efforts. On a personal level, I’m hoping to continue to grow as a person and develop skills that I may not have the opportunity to develop elsewhere. I’m not sure what my destiny has in store for me here, but know that I’ll give it my all." 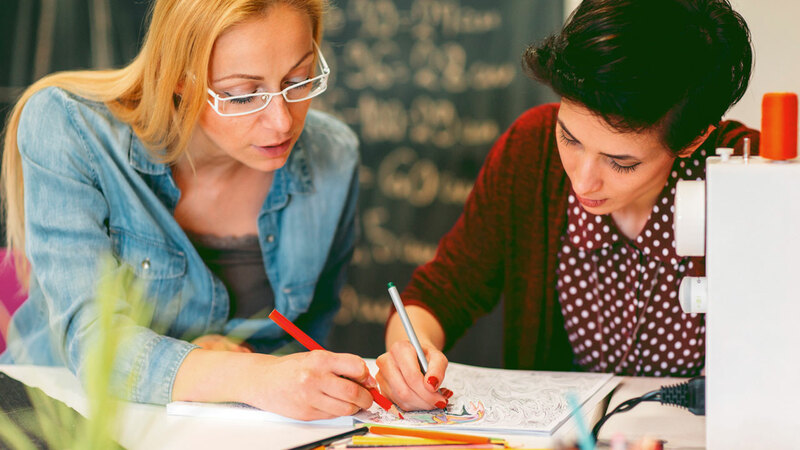 "Back in the day, Zappos advertised and was hiring for my dream position. I even added the word enthusiastically to the sentence "I am enthusiastically writing you" in my cover letter to show them how excited I was. To this day, I still can't believe my luck, and I couldn't be happier. My coworkers are smart, friendly and goofy. An interesting challenge is waiting for me every day. Since starting here, I don't dread Mondays anymore. 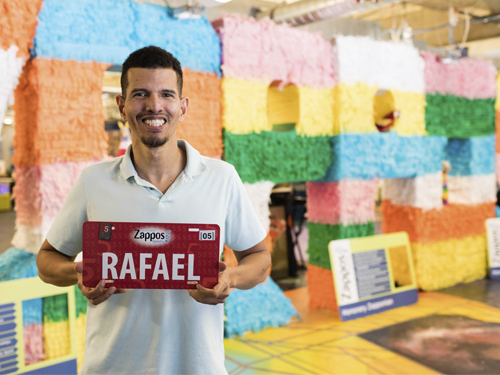 Zappos has given me the chance to support my family and friends still in Venezuela, as well as give back to the local community through volunteering. I look forward to continuing both efforts for the foreseeable future!" 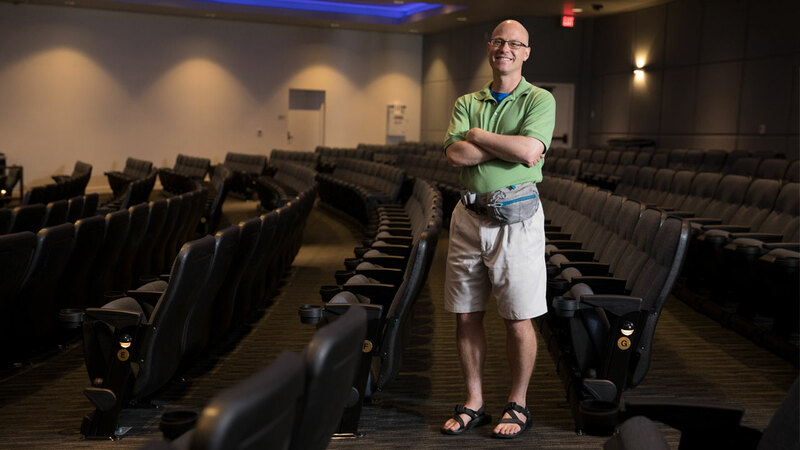 "I started at the Zappos outlet store in Bowling Green, Kentucky. When that store closed, employees were offered to relocate to another store in Shepherdsville, KY. I loved working there, and the chance it gave me to personally deliver WOW to customers. I relocated to Las Vegas two years ago to be the corporate support for the Outlet Operations business here, and currently work with our Shipping and Receiving Team. The license plates are fun mile markers of the evolution of our journey. It’s been a long road, with lots of twists and turns along the way, which has given me new opportunities to learn and grow alongside a lot of amazing people." The thing I love about Zappos is I’ve seen a lot of changes over the years and feel I can be a big part of its evolution. I’m involved in the Merch Career Path, and I enjoy helping people grow and reach their professional goals. This may sound sappy, but every time a buyer is promoted or achieves something big it reminds me of the movie “It’s a Wonderful Life” where the angel earns its wings. I plan to continue on this path for as long as I can." Are you looking for a change of scenery, personally and professionally? Maybe, just maybe, Zappos is the place for you! Click here to view and apply for our open positions. Why Eating At My Desk Isn't Allowed. And That's OK.
A bag of chips, a sandwich and a desk that's off-limits. Why this group of Zapponians changed up its lunch routine to create a positive team and family spirit.